Which of these symptoms would be present in an individual depends on the cause and duration of the pain. We are now going to shed some light on the conditions that can lead to lower right back pain. This is one of the most common causes of lumbar pain. A muscle strain occurs when there is excessive stretching of the muscle, which then leads to it tearing and getting damaged. Some things that can lead to muscle strains include lifting heavy objects, movements that exert excessive stress on the lower back region, poor posture and sports injuries among other things. Problems related to the kidney can also lead to the development of pain in the lower right back region. 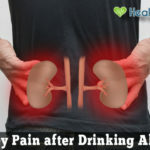 Conditions such as kidney stone, renal obstruction, and dehydration are common sources of pain in the region. The center of a lumbar disc has a jelly-like consistency. It can sometimes manage to break through the outer layer and cause irritation of the nerve root located nearby. This herniated portion is enriched with proteins that lead to inflammation upon reaching the nerve root. This along with nerve compression is responsible for lumbar pain. There is a rich supply of nerve fibers on the disc wall, so when a tear occurs through the wall, severe pain is experienced. 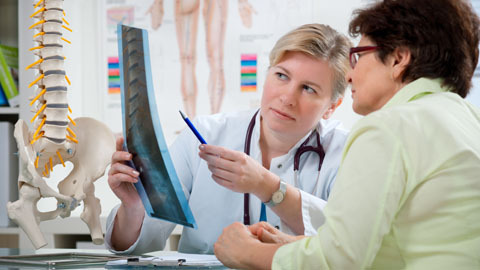 With age, the intervertebral discs tend to wear down due to the loss of hydration. As a result, the discs lose their ability to resist force and transfer the force to the disc wall. This can lead to the development of tears on the wall, thereby leading to pain. It can also cause herniation. A collapse of the disc can result in stenosis. Two facet joints are present behind each disc which has cartilage between the bones. Capsular ligament surrounds them which have a rich supply of nerves. These joints can become painful, thereby leading to lower right back pain. Pain occurs when the spinal canal narrows in the region where the nerve roots are present. The narrowing can occur at multiple levels and can be central, foraminal, or both. This occurs from the wearing and tearing of the disc along with the facet joints. The condition results in pain, inflammation, and stenosis at either single or multiple levels of the spine. This is also a rather common cause of lower right back pain. Acute fractures can lead to the development of pain. It is quite common to experience pain in the region following an accident or fall. In the case of a fracture of the cylindrical vertebra where the bone caves in on itself, there is an onset of sudden pain in the region. The fracture can occur owing to weak bones. It is more common in old people. A permanent treatment of lower right back pain depends on its cause. We are going to provide you with some popular remedies that have proven to be rather effective in providing relief from the pain. According to studies, people who rest more experience pain in the lower back region more commonly as compared to people who adopt an active lifestyle. Therefore, it is advisable to limit the duration of bed rest that you acquire. Quick mobilization can ensure that lower right back pain is not something that you have to endure. To deal with lumbar pain in the best way possible, you need to make sure you remain as active as possible. It does not have to be anything strenuous or rigorous. A simple walk would suffice. However, make sure you do not overdo it. Excessive straining can lead to the aggravation of pain. Poor posture is quite a common cause of lower right back pain as it leads to excessive strain on the back. Therefore, maintaining a good posture can save you from quite a bit of trouble. It is the little things that influence the condition of your back. Perhaps you have a poor posture while you are learning or maybe you are unable to stand straight. Maintaining the curvature of the back can make it certain that the pressure on the region is alleviated, which leads to a decrease in back pain. You should focus on enhancing the strength of your back. It is important to keep in mind that a torso comprises of numerous groups of muscles that work together. When the abdominal muscles are weak, there is an impact on the other group as well. Therefore, if the strain on the lower back is reduced, it will strengthen the abdominal muscles that would prove to be of great help. Tension and tightness can lead to back pain which is why you need to make an effort to improve your flexibility. This ensures that equal load is spread throughout the body. One way to do so is by sitting on the edge of the bed and extending one leg while the other one is on the floor. You should then stretch your hamstrings by leaning forward while making an effort to keep the back straight. 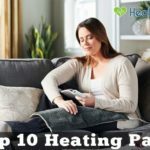 If comfort from pain is to be acquired, using heating pads and cold packs can be effective. If you sustain an injury which is responsible for the pain, it is advisable to apply ice packs for the first 48 hours following the injury and then make a switch to heating pads. There is no fixed rule as to which is more effective. You can make use of ice packs or heating pads depending on what provides you with the comfort you desire. It is important to get an adequate amount of rest. The sleeping position you adopt is of importance as well. If you sleep in a bad position or make use of a mattress that fails to provide you with proper support, you will experience an aggravation of your pain. It is advisable to sleep with pillows under your knees if you are a back sleeper. In case you sleep sideways, you should place pillows between the knees. This would serve to maintain the neutral position of the spine. It is advisable to avoid sleeping on the stomach as this can lead to excessive stress on the back. Not many people are aware that smoking can also lead to back pain. This is because nicotine leads to the constriction of small blood vessels, thereby causing a reduction in the blood delivered to the soft tissue. 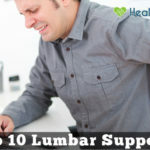 One can also experience lower right back pain when they are under stress or suffering from anxiety. Talk therapy is an effective way of dealing with the stress, which can help alleviate the pain. You can also make use of various relaxation techniques including the likes of meditation, deep breathing, and yoga for this purpose. Seeing a doctor is of utmost importance. This is because lower right back pain can be a sign of some potential life-threatening conditions. Hence, it is important to make sure you are not negligent. Timely medical intervention can make a world of difference. No chances should be taken when it comes to matters of health. If you notice any of the signs mentioned above, you should seek medical attention as early as possible. Seeking medical help at the right time can make a world of difference as there is a high chance that the condition is detected at an early stage. This ensures that treatment is commenced soon. Therefore, if you have lower right back pain, you need to pay attention to other symptoms that you are experiencing as well.